Nicole Kidman supported her husband Keith Urban on the red carpet at the 2019 Academy of Country Music Awards on Sunday night at the MGM Grand Garden Arena in Las Vegas. The 51-year-old country singer performed during the show and won the prestigious award for Entertainer of the Year. Nicole paraded her hot legs in a crystal mesh dress from Christopher Kane’s Fall 2019 Collection and accessorized with a black alligator print leather clutch by Giuseppe Zanotti, Turner & Tatler jewelry, and an Omega watch. She completed her look with a glittering new version of Alexandre Birman’s coveted ‘Clarita’ sandals. 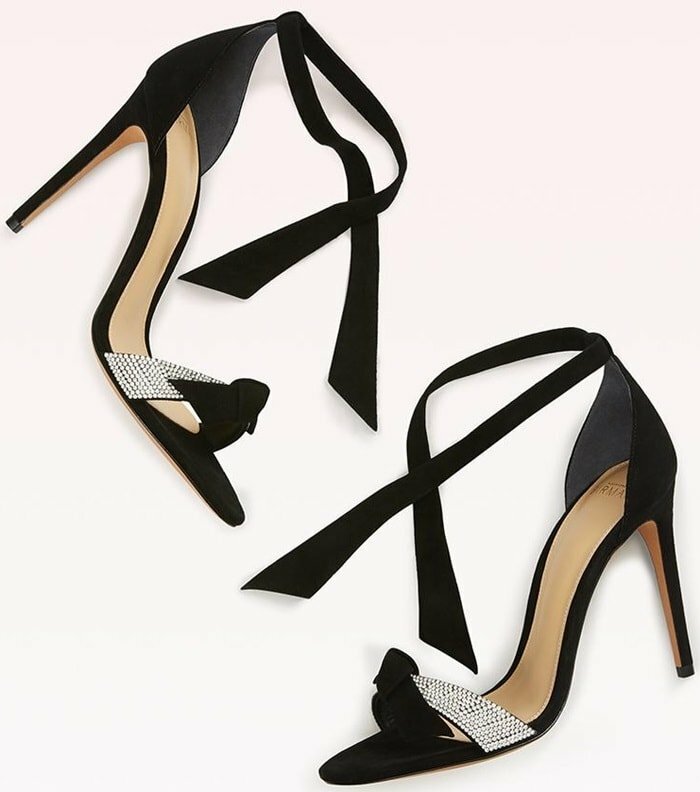 They are made from soft suede and topped with the label’s signature crystal-embellished bows and tie-fastening ankle straps. You can find similar styles from the same Brazilian footwear designer at Bergdorf Goodman and Nordstrom.